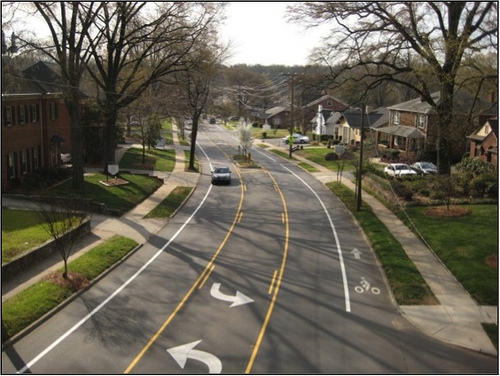 Road diets, or the reallocation of road space through reduction in the number of regular traffic lanes, are of interest to communities that may be seeking to reduce traffic speeds, reduce crashes, improve accessibility for pedestrians and bicyclists, or achieve a number of other benefits. The Federal Highway Administration (FHWA) has included road diets as one of the nine proven countermeasures it is promoting nationally (http://safety.fhwa.dot.gov/provencountermeasures/pc_memo.htm). This webinar will present information about the safety benefits of road diets, particularly to pedestrians, and highlight examples of road diet implementation in the United States. • Overview of technical and support services provided by America Walks to further advance this work. As the importance of drawing upon community assets to sustain SRTS programs continues to grow, thinking beyond the "usual suspects" as partners is more important than ever. In this sixty minute program, we will highlight partner ideas from four outstanding programs that provide wonderful examples of building strong ties with other community organizations. 2012 Oberstar SRTS Award recipient program leader Kathryn Garvey with the Chagrin Falls SRTS Program will provide specific examples of unique local partners that have been pivotal to their achievements, including a local historical society and a community theater. Nancy Pullen-Seufert with the National Center for Safe Routes to School will offer additional innovative ideas from three SRTS programs that received special recognition as part of this year's Oberstar Award selection process.